A user is the most granular element of the administrative structure in your company. Usually, they are individuals employed by your company, or granted access under other conditions. They can also be a group of people or a third party system with a specific set of credentials (login and password) that can be used to access OroCRM. To ensure effective work of users and high protection of sensitive data in the application, correct configuration of all user records and access settings is essential. 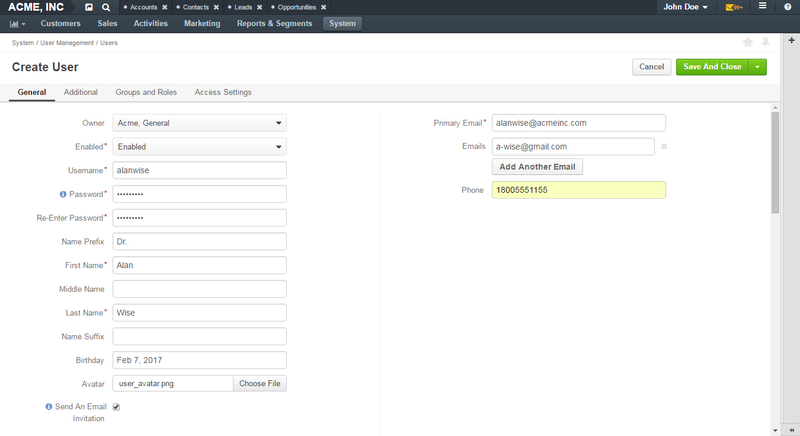 In one OroCRM instance, you can create any number of users. 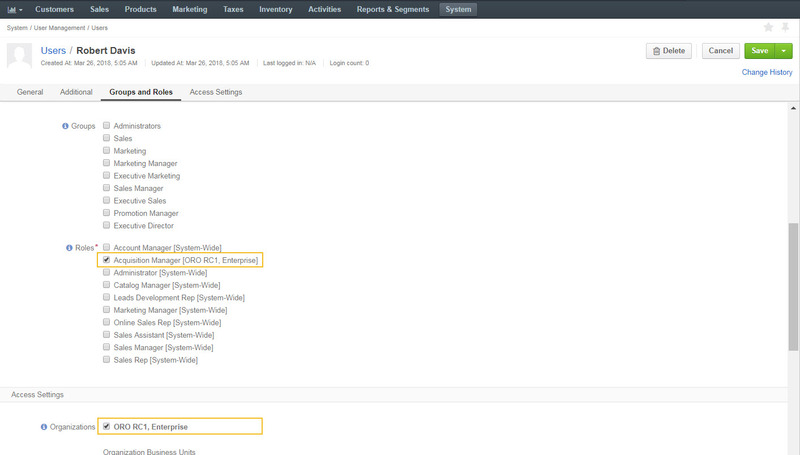 If you have OroCRM Enterprise edition, and you wish to limit access of the user you are creating to a specific organization, select it in the Access Settings section. If the organization has organization-specific roles, these will appear on the list in the Group and Roles section once you select the required organization in Access Settings. OroCRM Enterprise edition supports integration with LDAP (Lightweight Directory Access Protocol) server which enables you to import existing user information (including role identifiers) from the LDAP server into OroCRM. To enable import of LDAP records, you first need to set up integration with LDAP. Once the integration is established, user profiles are imported to OroCRM and users can use their usual credentials to log into the application. Using LDAP integration does not prevent you from creating user records in OroCRM manually. Manually created user records are not imported back to your LDAP server. When user exceeds allowed number of failed login attempts, the system automatically locks them out. User authentication status changes to Locked and the Activate button appears on the user page. When the integration with a third-party software or other work requirements demand a user to have the API access to OroCRM key for the user. This key is used to grant the user access to the required API while protecting their password from being disclosed to the third party. 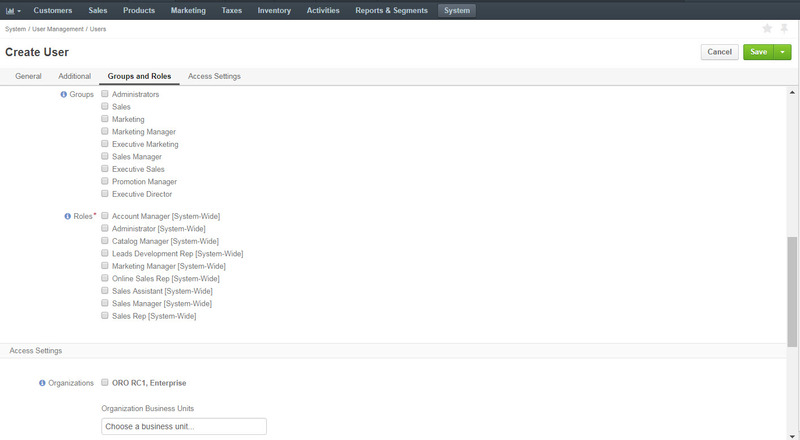 In OroCRM, you can configure settings specifically for the selected user. These settings may include localization options, display settings, for instance. The settings you configure per user are applicable only for the current organization.